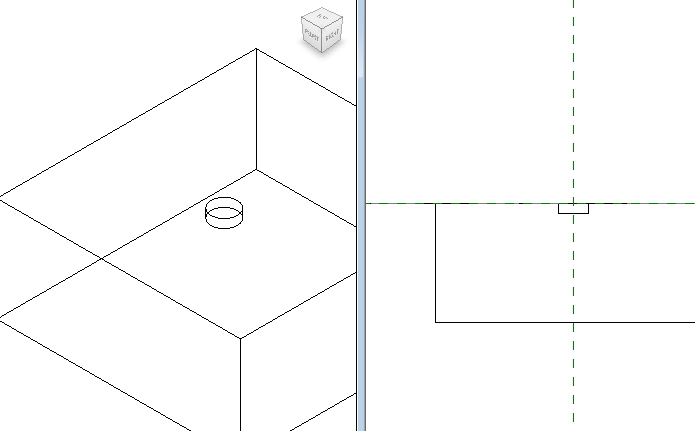 While working with shape-edited Floors, I have noticed that you cannot place a Spot Elevation on a sloped Floor face with a curved edge. You can place Spot Elevations along any edge, but once you hover over the actual face, it won’t allow you to place a Spot Elevation. 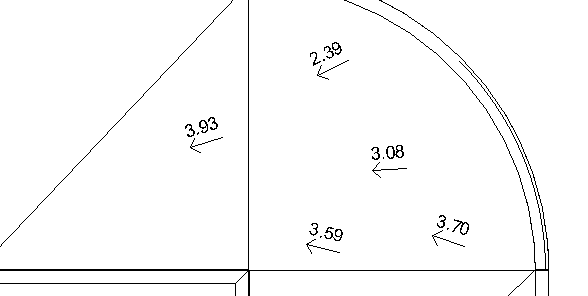 It seems rather strange that Revit cannot figure out a Spot Elevation on a curved surface, especially since the Spot Slope does work on these surfaces. 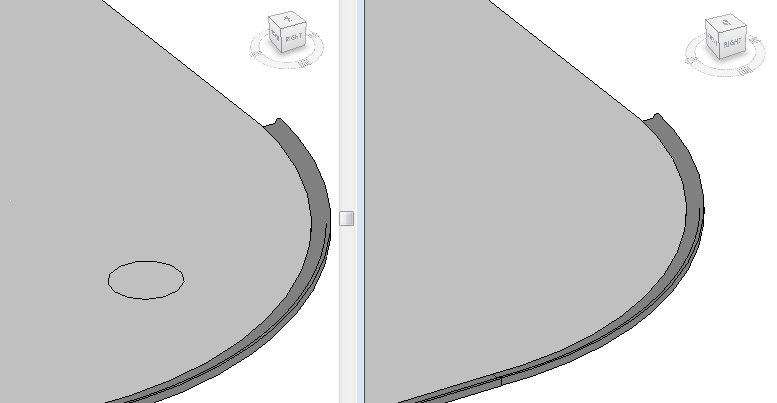 But with a simple, little Face-Based family you can create Spot Elevations on a sloped and curved Floor face. Technically, the elevation is being pulled from the Face-Based family, but it is a pretty simple and effective workaround. To start out, I created a little circular sweep embedded into the face of the Face-Based family. 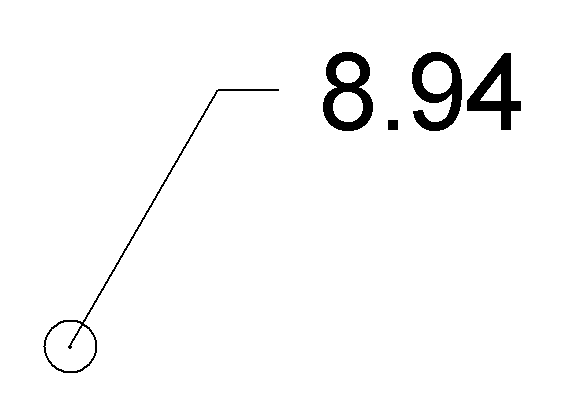 The diameter of the sweep is a type parameter, so it can be made as small as possible when loaded into the project. 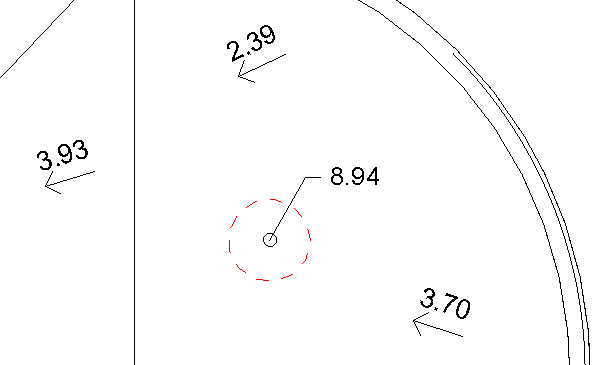 This is what it looks like with a 1/4″ diameter at 1″ = 20′ (sorry, Metric folks). Since the actual family is so tiny, I also created a larger model line within the family that can be turned on or off in order to indicate where the family is located. 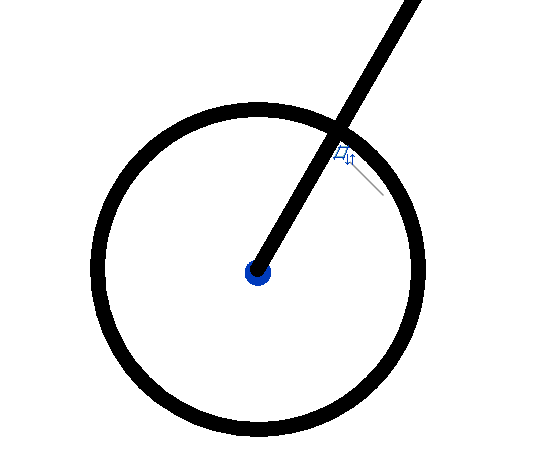 The outer circle is also useful for dragging the family around (though that can only be done within the face). In addition, I assigned the family a specific Assembly Code so that I could use a filter to hide them in 3D views. The red dashed line in the above view is also a filter override. I was wondering if you can help me. 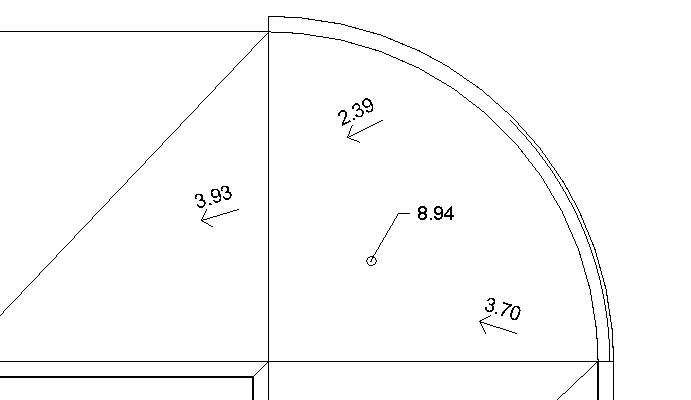 I want to create a spot elevation for curved floors. But I’m having a little trouble finding a Face-Based family? 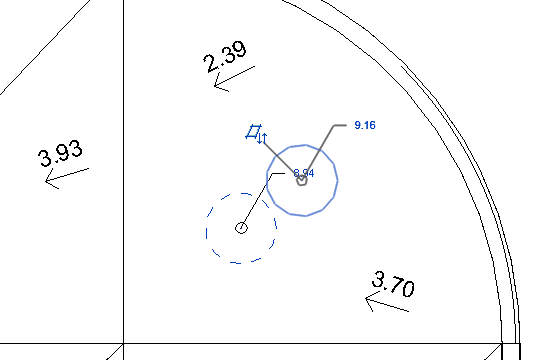 where can I find one so that I can follow your instruction in creating the spot elevation? Create a new family and select ‘Generic Model face based’ it should be in the Family Templates folder (under English_I).